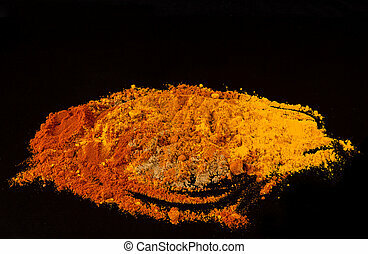 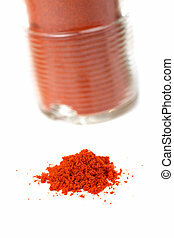 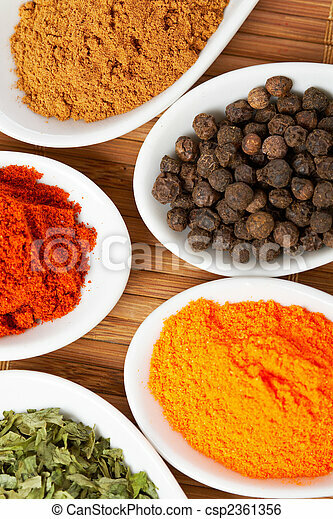 Spices background. 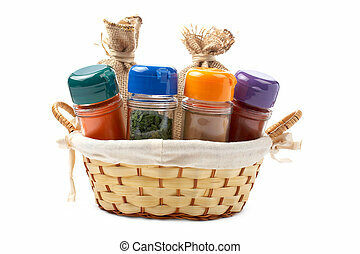 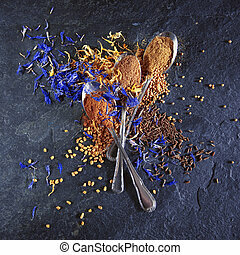 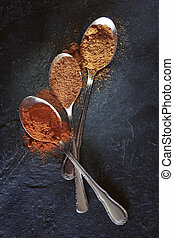 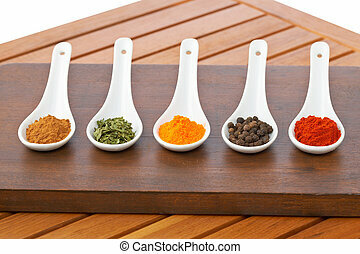 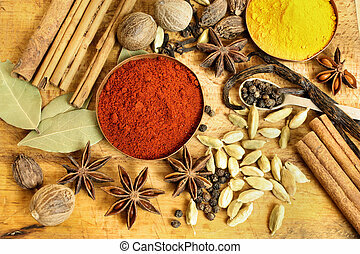 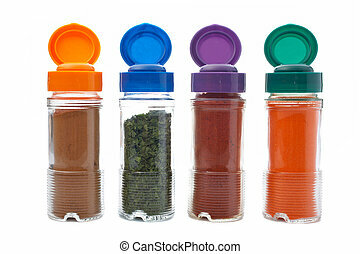 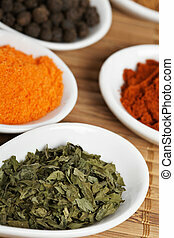 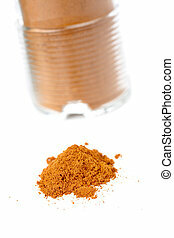 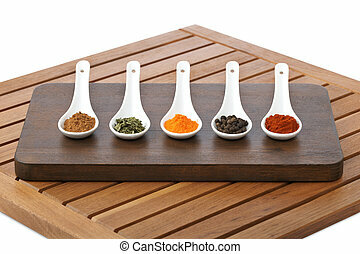 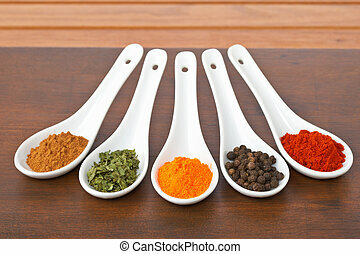 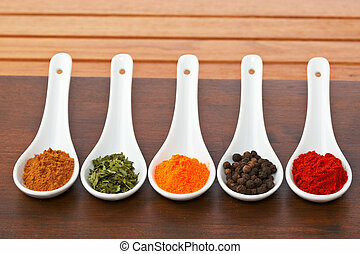 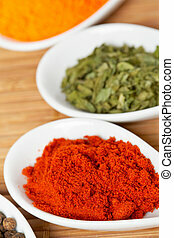 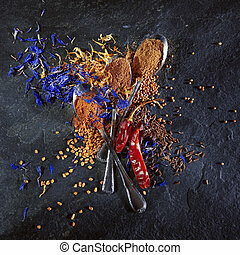 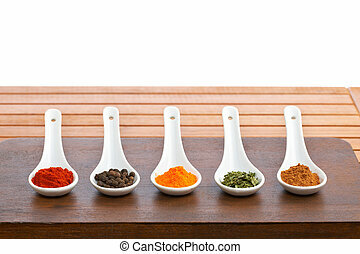 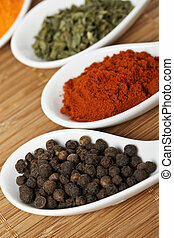 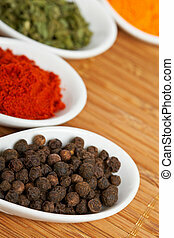 Assortment of spices in the spoons for prepare tasty food with soft shadow in the wooden background. 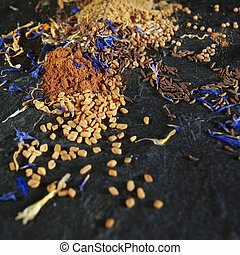 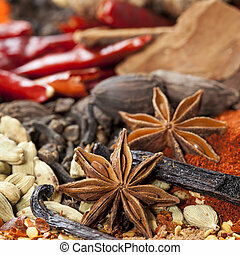 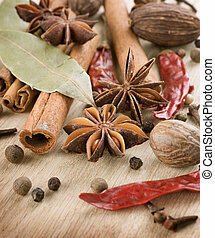 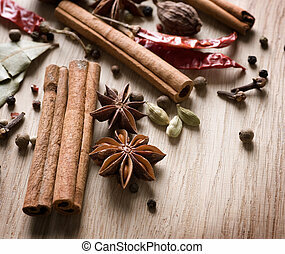 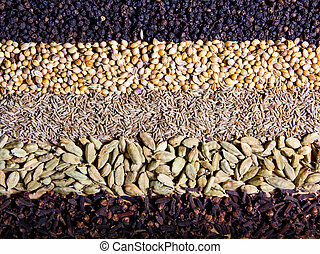 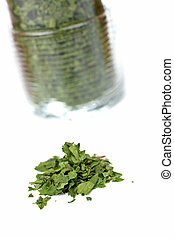 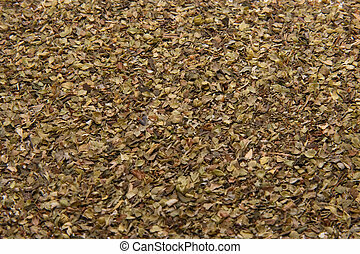 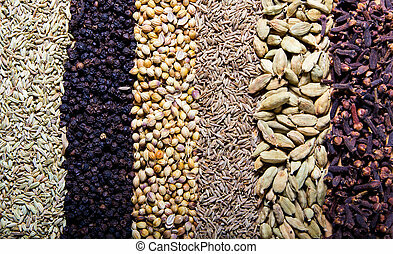 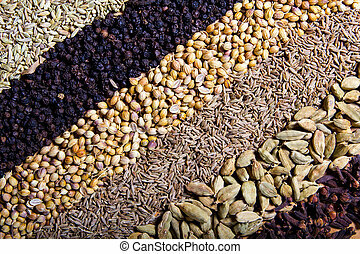 Spices background, with focus on star anise, vanilla beans and cardamom.